One of the biggest bottlenecks in making sure a job is done right the first time is ensuring that your designs are complete and accurate. Whether you’re a scaffold designer, salesperson, builder or customer, reviewing a scaffold in augmented reality, virtual reality, and interactive 3D is now possible with Scaffold Viewer. Easily upload your scaffold drawings from Scaffold Designer to Scaffold Viewer Cloud and review for free on Windows Desktop, iOS, Android, and Microsoft HoloLens. Watch the video below to see Scaffold Viewer in action. Prepare for any scaffold project the easy way. Just import a plan, then drag and drop scaffolds wherever you want them. 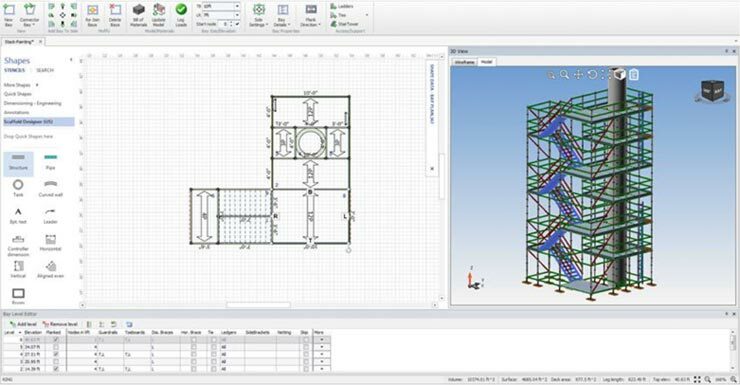 Scaffold Designer automatically creates a 3D model and a list of materials. All you have to do is build it! Oversee every project and every piece of equipment from one user-friendly program. 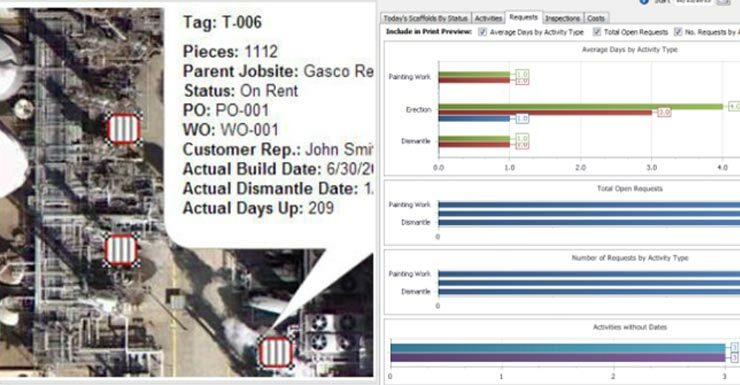 Quantify lets you generate estimates, view inventory, automate invoices, manage industrial scaffolds in detail, track re-rentals, and more. It’s the faster, easier way to manage your business better! You don’t need to be high-tech to use Avontus—leave the hard stuff to us. We’ll configure your software for your business, train you and your team to use it, and always be here to answer any questions. Get the software made just for scaffolders. Every feature is designed to make your job easier and faster, so you can bid more and win more. Plan scaffolding exactly how it will be built. Just import your plan and drag and drop scaffolds where needed. Build bay by bay, or let the program design for you and tailor as needed. Visualize how your scaffolds will look with a detailed 3D model that you can explore from any angle. Save hours on every takeoff with automatic, accurate piece counts of the equipment you’ll need for the job. You also get volume, leg length, and area calculations using our scaffolding management software. Create estimates for new bids and materials forecasts the easy way. Quote by piece, weight, unit rate, hard dollar, and more. When you get the job, simply turn the estimate into a shipment, and you’re ready to get to work. Manage industrial scaffolding jobs easily. Ship equipment to a specific scaffold or part of a job site, schedule inspections, map locations, track dates and KPIs, and make sure every piece of equipment comes back when the job is done. Invoice in seconds just the way you want to—arrears, advance, or first advance, then arrears (FATA). Bill by piece, weight, unit rate, composite rate, and more, with automatic calculation of off-rent, all-inclusive, and continuation periods. Invoices can be integrated with your accounting software. Know exactly what you own and where it is so you can maximize utilization while avoiding shortfalls. Track equipment, orders, backorders, and re-rents. Empower your customers and workers in the field to submit requests for equipment or services right from their smartphones. Make safety management easier with electronic inspection logging. View inventory and scaffold reports from any device, anywhere. Transfer between yards and sites with ease. Move equipment without worrying about exceeding available stock, forgetting necessary parts, or losing pieces. Eliminate surprises, delays, and waste with custom alerts for reorder points, re-rent returns, inspections, new transactions, requests from the field, and more. Get the insights you need in the formats you want with custom pivot reports for everything you track. I would absolutely recommend Scaffold Designer to others in our industry. The impression of a nice design will often trump competitors even if they have a lower price. Quantify has simplified our inventory, job tracking, and billing, all in one easy to use program.